Mr. Eddie Lee Smith of Warrenton, North Carolina, transitioned from labor to reward on June 3, 2018 at Duke Regional Hospital in Durham, North Carolina. Mr. Smith was born on March 28,1956 to the late Ann Henderson Crawford and Charlie Smith, Sr.
Eddie worked as mechanic and a logger for many years until his health began to decline. Funeral Services will be conducted 1pm Saturday, June 9, 2018 from the Pleasant Grove Missionary Baptist Church, Drewry, NC. The Reverend William Alston will officiate. of Henderson, NC; three brothers, Clarence Crawford (Louise) of Richmond, VA, Charlie Smith, Jr. (Angie) of Chesterfield, VA, and Willie B. Smith of Drewry, NC; 23 grandchildren, 3 great –grandchildren, and a host of other loving nieces, nephews, cousins and friends. A special thanks to his CNA for many years Charlene Perry. 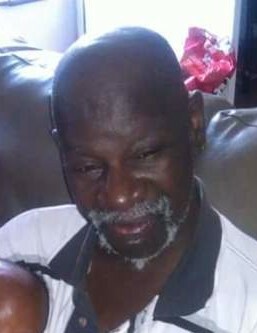 Mr. Smith may be viewed Friday from 11am until 7pm at the R. H. Greene Funeral Home Chapel.